One of the most prominent names in Visionary Art, Alex Grey was always fascinated by life and death and as a child would collect dead insects and animals and bury them. Death and transcendence thus are frequently found as themes in his art-work. 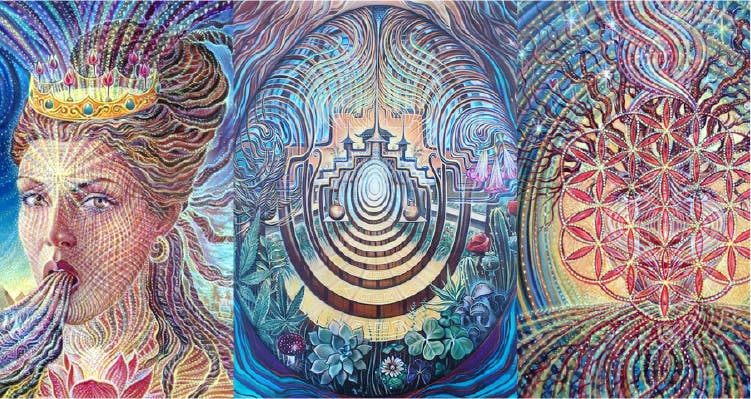 His Graphic Designer father gave him all the creative encouragement he needed, but what really put him on the map was his series of life-sized paintings called the Sacred Mirrors. Grey is on a constant path of discovery between the body, mind and soul via his art.